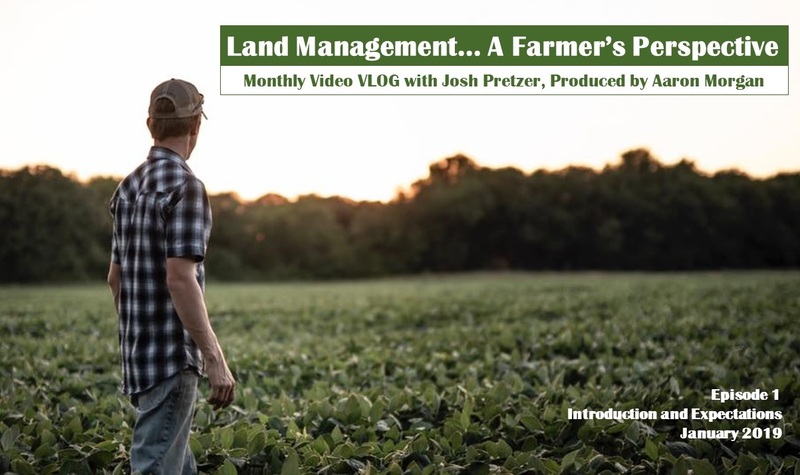 Join us with this new Video Blog Series from Josh Pretzer (4th Generation Farmer) from Kansas as he talks about his land management efforts. Recorded and produced by Aaron Morgan of Invested Outdoors, this series will be informative and entertaining throughout the year. When Josh has every resource (equipment, seed, and nutritional product) at his disposal, what will he choose to use to attract, keep, grow, and harvest mature bucks and other wildlife on his property? This brings #DARE TO COMPARE to a new level! This first video will set the tone and expectations for this series through 2019. We hope you will follow along! To learn more about Josh and his background as a 4th generation farmer, watch this video produced by Invested Outdoors. Enjoyed your intro Josh and am looking forward to following along on your videos to see your food plot farming methods and side by side comparisons of various products. Josh looking forward to your videos on food plot farming ,methods and comparisons.